Our firm is recognized in the industry for providing the best class Zinc Nickel Alloy Plating Services. We are involved in rendering Zinc Nickel Alloy Plating Service to our valued customers. To obtain the customer’s gratifications, our experts render these services as per client’s demand. In addition, these services are rendered in diverse forms that meet on client’s demand. 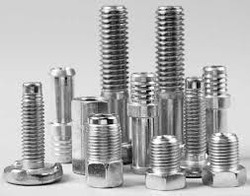 The world class infrastructure of our organization allows us to provide qualitative Zinc Plating Services approved by MARUTI SUZUKI INDIA LTD , HONDA SIEL , BOSCH INDIA , YAMAHA MOTOR PVT LTD that is used to protect ferrous metals from corrosion. Our offered services are widely demanded in automotive and many other industries. We are recognized by the clients for providing Zinc Nickel Plating Service. The preferred alloy composition of zinc nickel plate is 12 - 15% nickel, with the remainder being zinc. 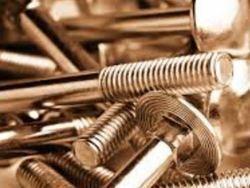 Reckoned amongst the praiseworthy organizations, we are readily engaged in executing high quality services for Zinc Nickel Plating Service. With the help of our trained professionals, we execute these services in line with industrial standards. Economical way to get extended corrosion protection over Zinc.